Lock in a great price for Residence Inn Long Island Holtsville – rated 8.6 by recent guests! Great breakfast, pool and room was above my expectations. Love the size of the room. Breakfast is great. And the variety of food delivery options. What I like was the room was perfect size very comfy and very clean. Quiet. Very cozy and comfortable. Really liked the full kitchen. Excellent price! Will stay again. Right off the L.I.E. Food and movies adjacent to hotel! Mike and Quinn are AWESOME!!! Will defiantly be back! 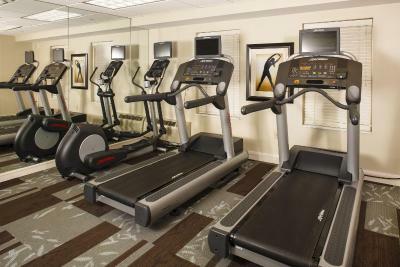 Residence Inn Long Island Holtsville This rating is a reflection of how the property compares to the industry standard when it comes to price, facilities and services available. It's based on a self-evaluation by the property. Use this rating to help choose your stay! All guest rooms at Residence Inn Long Island Holtsville feature a flat-screen satellite TV and a fully-fitted kitchen. In addition every room offers air conditioning and a well-lit work desk. A hot breakfast buffet is available every morning. The hotel offers a grocery shopping service and there are several restaurants within a few minutes’ walk of the hotel. Residence Inn Long Island Holtsville is 1.3 miles from Brookhaven Ecology Site. It is just 8 miles to Fire Island National Seashore, where guests can enjoy swimming from the beach. 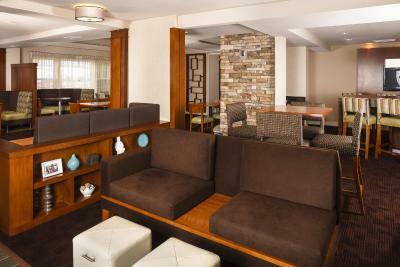 Residence Inn Long Island Holtsville is located just off the Long Island Expressway, 50 miles from JFK Airport. Free on-site car parking is available. This property also has one of the top-rated locations in Holtsville! Guests are happier about it compared to other properties in the area. This property is also rated for the best value in Holtsville! Guests are getting more for their money when compared to other properties in this city. When would you like to stay at Residence Inn Long Island Holtsville? Studio has a sitting area and a sofa bed. All-suites Marriott hotel located in Holtsville on New York's Long Island with rooms 50% larger than standard rooms. Across from Motorola, close to area business, attractions, Fire Island and the Hamptons. Enjoy complimentary Internet and daily breakfast. House Rules Residence Inn Long Island Holtsville takes special requests – add in the next step! Residence Inn Long Island Holtsville accepts these cards and reserves the right to temporarily hold an amount prior to arrival. Pretty dirty. Terrible location in a shopping/movie plaza. People yelling and running down the halls all night. Receptionist had contagious illness(?) stayed @ I washed my hands before giving the room keys. Breakfast was horrible, food terrible and guests packing multiple take outs made it impossible. The pool room and jacuzzi could use some cleaning. Also towels. The amount of kids and noise level. We had kids knocking on our door all night and running in the halls. And both elevators were broke. There was really nothing that I didnt like everything was just right would definitely come back. The bed was too hard. My back was killing me I could barely sleep. The carpet smells and was wet . The police activity in and around the building was quiet scary to have my child around. The staff at the front desk were so sweet. Small clog in bathroom sink. Otherwise, all great. Nice large room, friendly front desk, nice warm Jacuzzi. All good. Good breakfast and coffee - good area in the lobby to sit and work after checkout. The rooms need to be more sound proof. It sounded like there was 6 elephants doing the Irish jig above us.